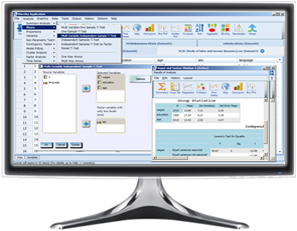 Provides familiar powerful user interface available in mainstream statistical applications like SPSS, SAS etc. Provide a rich development framework for developing and deploying new statistical modules, applications or functions with rich graphical user interfaces and output, all through intuitive drag and drop user interfaces (No programming required). Migrate from expensive propriety statistical applications to R.
Ease the R learning curve. Use the cutting edge analytics available in R without having to learn programming. 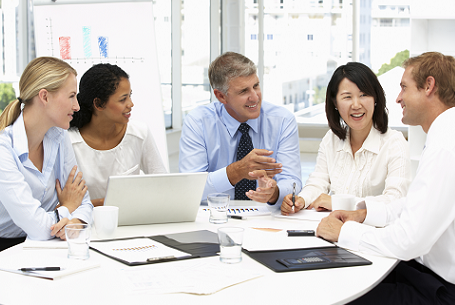 Get results in true word processing tables automatically. Quickly add your own menus and dialog boxes to any R functions. 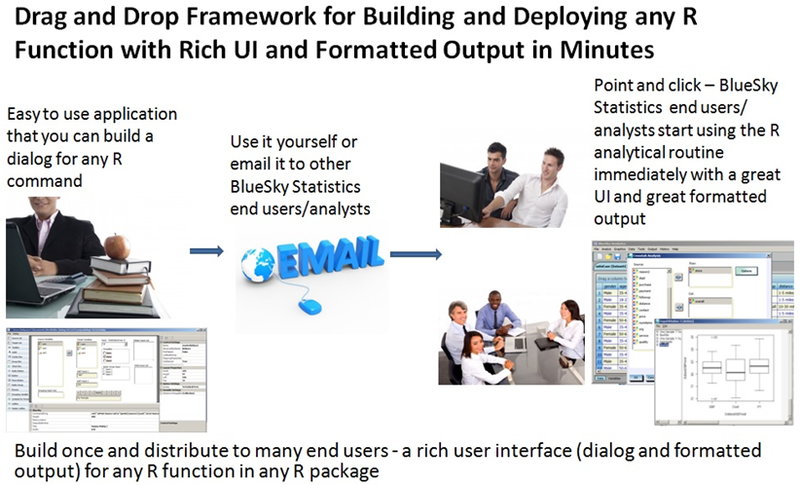 For sophisticated users, BlueSky Statistics provides a rich application development framework that can be used to design new modules or new statistical functions with intuitive drag and drop interfaces. In a couple of clicks these modules can be installed in the BlueSky Statistics application or distributed to a colleague empowering both the author and the consumer. Our goal is to create a marketplace where users can share their analytical functions and modules efficiently. Copyright © 2013 BlueSky Statistics. All Rights Reserved. Built with Volusion.